North Plainfield, New Jersey (CNN) - Stepping into the auditorium of the Sundance School last weekend was like being transported back to another era. Glen Miller’s big band crooned "Moonlight Serenade" in the background. A dusty pink feather boa draped sequin-adorned chairs. Heart-shaped velvet boxes sat in the center of each table. 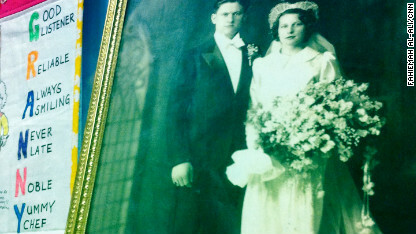 A striking black-and-white wedding photograph from 1938 was perched proudly on a small wooden table. It was the school’s way of celebrating the guest of honor – teacher Agnes Zhelesnik, affectionately referred to as “Granny” by her family and students. The average teacher retirement age is 59, according to the National Commission on Teaching and America's Future. It's a marker Zhelesnik has blown past. Agnes Zhelesnik's students celebrated her 99th birthday. For 60 years, Zhelesnik was a stay-at-home mother and wife. She began teaching part-time at the Sundance School in 1995, when she was 81. Eventually, she became a full-time teacher at the school, instructing classes on cooking, sewing and costume-making. She still comes to work every day. “I love them. They’re my best helpers. That’s the only reason why I come here, is the children,” Zhelesnik says, her blue eyes sparkling behind silver metal-framed glasses. Lenore Skenazy writes that new security rules -- no holding the door! -- make us treat each other worse. Is that really safer? 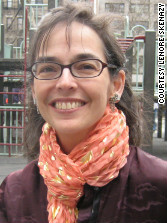 Editor's note: Lenore Skenazy is a public speaker and founder of the book and blog Free-Range Kids. Her show “World’s Worst Mom” - a title she once earned - airs on Discovery/TLC International. This week, Schools of Thought publishes perspectives on school security. Tomorrow, a school psychologist reflects on how access to mental health care affects school safety. (CNN) - In the wake of the Sandy Hook shootings, we are suffering from a very American malady: Post-Traumatic Stupidity Syndrome. Folks in the throes of PTSS are so traumatized by a tragic event that they immediately demand something – ANYTHING – be done to prevent it from ever occurring again. Even if the chances of it happening are one in a million. Even if the “preventative measures” proposed are wacky, wasteful, ridiculous - or worse. 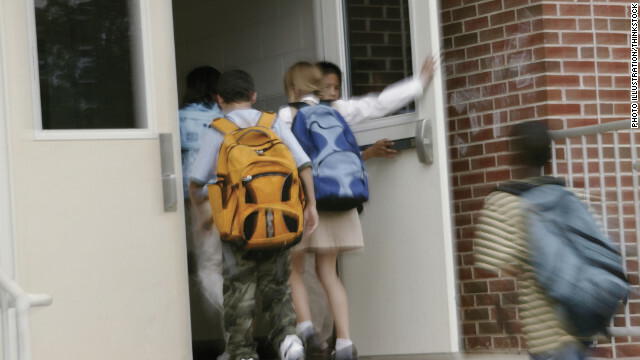 On my blog, Free-Range Kids, I asked readers to tell me what their districts were doing in reaction to the Newtown shooting and thus I heard about lots of schools reviewing their lockdown drills – which makes sense, like reviewing a fire or tornado drill. But then I also heard from readers whose school administrators seem to have lost their minds. One school, for instance, proceeded with its first grade Christmas concert…except that all the parents attending had to hand in their car keys to the office before entering the auditorium. Because guns don’t kill people … people with car keys kill people?